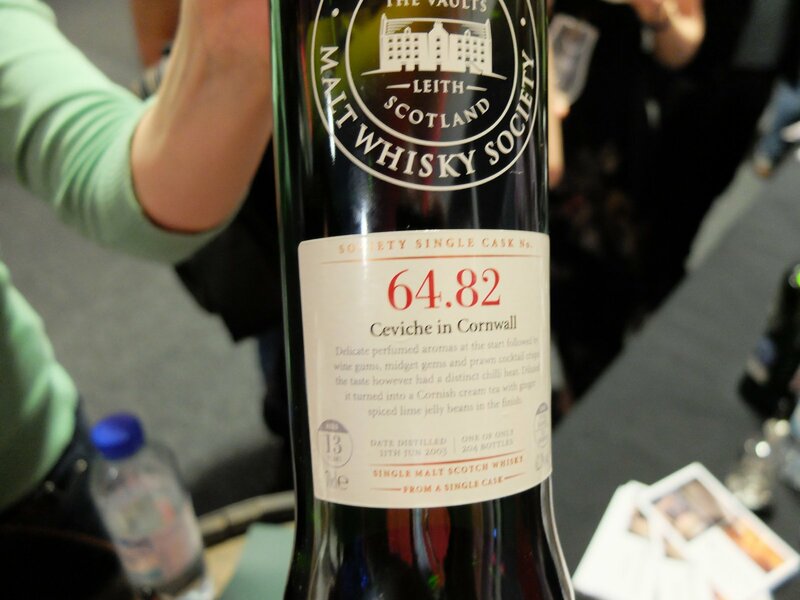 We hit the National Whisky Festival at the Corn Exchange, Edinburgh, for the first time - it turned out to be a pretty fun day, although are whisky reviews were quite a mixed bag! Wish I could explain why, but I just don't like the smell of this. Gluey and chemical. A lot of peat. Bleach and bananas. Bank notes and sick. Smells smokier than it tastes. Sweet. Bourbon chocolate biscuits. Wet dog. Spaghetti bolognese. Farm. Grass. Quite intense. Like a young Lagavulin. Slightly ctrusy. Bit hoppy. Pickle brine. Juicy. Licorice. Bile, acidic in an unpleasant way. Peach maybe? Something like that kind of fruit. Sour. Fireworks. Wet grass (doesn't taste of wet dog). Bacon. Also farm. A little bit sweet. Blue cheese. Comforting and smokey. Cold somethings (rooms?) and autumnal-nice-fireplace-ness. A little bit harsh. Clean, long finish. Floral (rose?) with cloves. Long, sour finish. Smokiness builds up towards the aftertaste. Dry at the end. Even more blue cheese. Definitely peated. 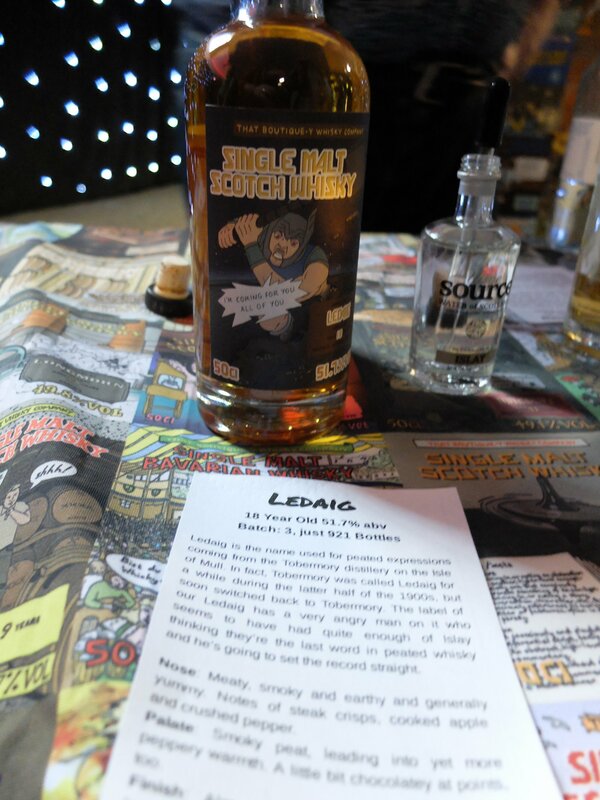 Sour - is this just a thing with Ledaig? Smoky isn't normally my thing, but it's really good. Distinctly average - rough round the edges. I like it.